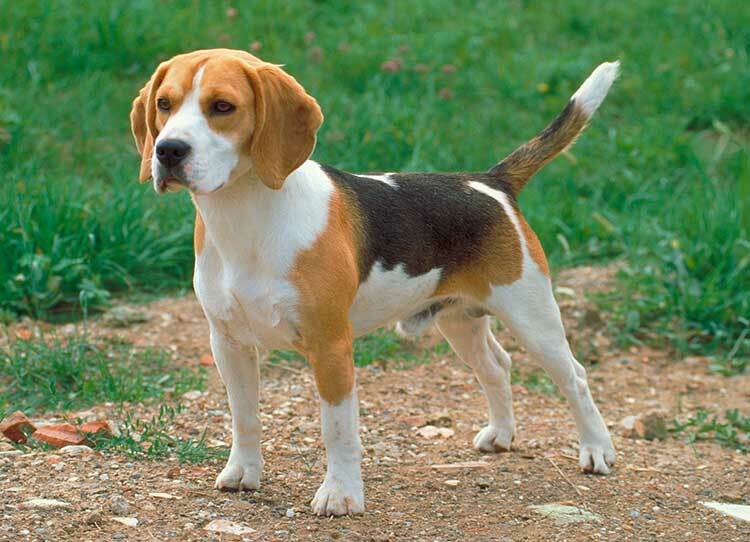 The Beagle is an ancient English breed, and have been popular since the reigns of Henry VIII and Elizabeth I. Excellent scent hound, working either in packs or individually. The Breed Standard describes the Beagle as being "a merry hound...showing no aggression or timidity". They do maintain a strong hunting instinct and they are incredibly energetic and active. Inactivity is a concern for the Beagle as due to their body shape any additional weight places undue strain on their joints. An average lifespan of 12-14 years.